For our second week of robot competition we regrouped and drove from Seattle to Portland for the Clackamas Academy Event. At this competition we did much better than last week since we successfully moved in every match. We were even able to place multiple cargo in the cargo ship during several rounds. Our robot also became much faster at placing hatch panels on all three rocket levels. Although our robot did not place as high as we hoped, we were very excited at our improvement from week 1. In addition to having better robot success, we also won an awesome award!! For the second year in a row, we have won the engineering inspiration at one of our regional competitions. 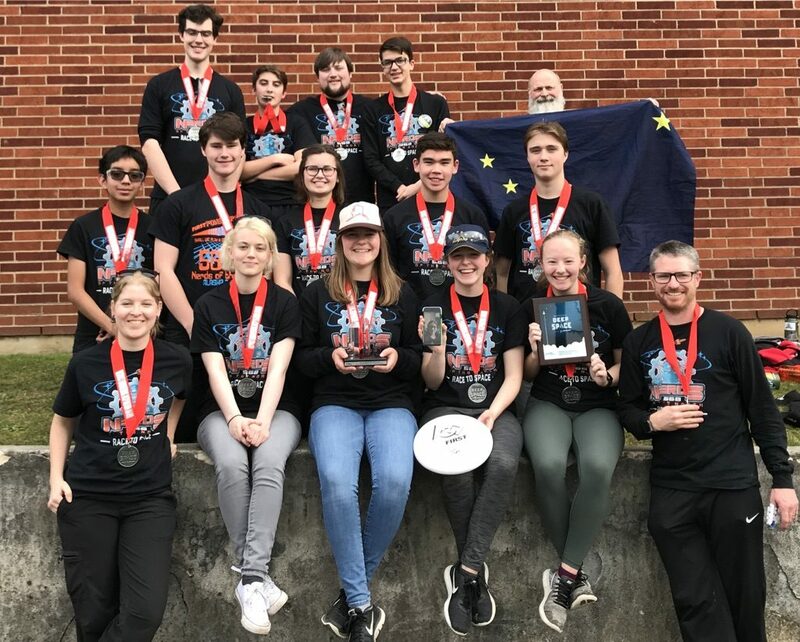 This is the second most prestigious award in FRC and is granted to a team that is very successful in spreading STEM throughout their community and being promoters of change. Winning this award does not qualify us to compete with our robot at the district championships, but we will compete for the award in April. If we win we will get to go to WORLDS! Overall, week 2 was really fun even though both the team and the robot struggled a little bit. Thanks to Riley Robot and our Alaskan supporters, this amazing trip came to a bittersweet close.